The “Child Ballads” are a large collection of 305 songs from England and Scotland compiled by Francis James Child in the late 19th century. 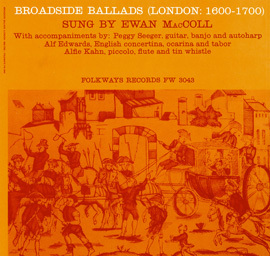 Here, Ewan MacColl presents 13 of these songs, sung without accompaniment. 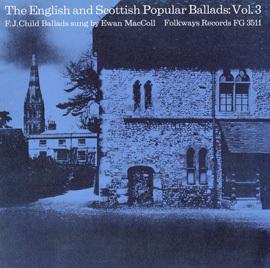 MacColl explains the notion of the ballad: “Defined in its simplest terms, the ballad is a folksong that tells a story…is always narrative, and is always learned from the lips of others rather than by reading.” The songs presented here all detail historical events from Scotland and England. It is appropriate then that they are sung by MacColl who himself played a role in English history through his affiliation to the communist parties of the 1930’s which hindered his musical career at the time. 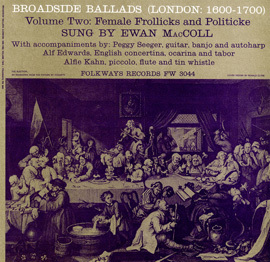 His roots in the laboring class add authenticity to the concept of the ballad which grew out of the “popular” lower classes. 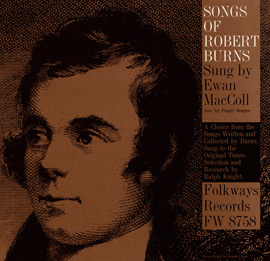 Liner notes include some song information and lyrics.